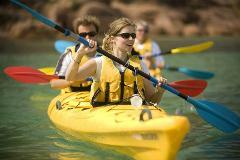 Take our award winning sea kayaking tour into the heart of Freycinet National Park. Experience crystal clear waters and towering granite mountains.Departing morning & afternoon, year round this tour is suitable to all levels of experience. 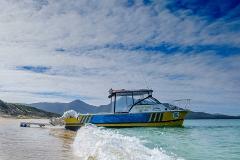 Aqua taxi Service from Coles Bay to Hazards Beach, Cooks Beach and Schouten Island return. You can take a one way or return journey.